Pipe Needed 1-1/4 in. Sch 40 PVC Pipe 40 ft. 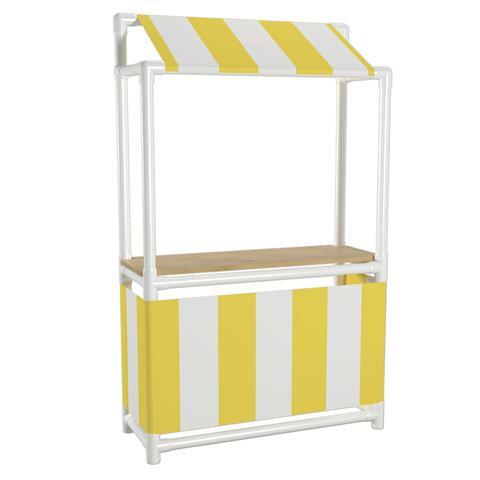 Build a great looking and fully functional Lemonade Stand for those hot summer days. This plan includes instructions on how to add an inviting awning and base skirt, as well as a sturdy countertop. 6" Height clearance from floor or ground surface. Durable and weatherproof, indoors or out. Legs capped to allow addition of anti-scuff floor pads for delicate floor environments.